Four winter scenes are depicted in these special ornaments. 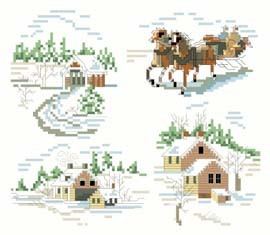 They are reminiscent of Currier and Ives designs from long ago. This charming set will look beautiful on a holiday tree.